Our beloved leader is a true woman after God's own heart. She loves people. And has shown that for fifteen years in Jacksonville's inner city. Truly she has shaped Dove Outreach Center (DOC) as an outreach ministry. Feeding the hungry, clothing the naked and providing emergency financial assistance to members when needed. This November our Pastor celebrates 20 years of ministry. She is a product of the African Methodist Episcopal church answering the call in 1995. Pastor Zeigler is both anointed and educated. With undergraduate degrees in Psychology and Workforce Education and a graduate degree in Human Resources from Webster University she encourages her congregation to capitalize on education. As the City of Jacksonville's training manger she has exemplified how capitalizing on education can position you. Faith without works is dead! "Do all you can and God will do all you can't," she says. 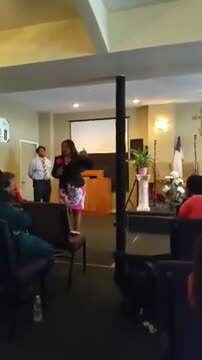 Pastor Z, as she's affectionately called continues to do all she can and God continues to bless the work of her hands.